...guests can enjoy a seamless hospitality experience including welcoming service and exceptional culinary offerings while still enjoying the unique local connections to Calgary and the Rockies. 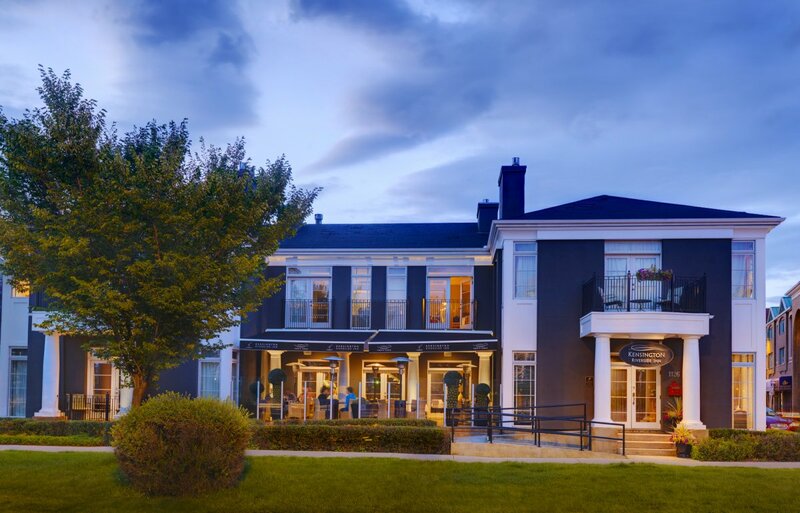 From urban escape to Rocky Mountain awakening, Hotel Arts Group and Canadian Rocky Mountain Resorts are partnering to promote a special rate to travellers that stay at hotels owned by both companies. Stay at either one of Hotel Arts Group’s two hotels in Calgary – Hotel Arts and Kensington Riverside Inn – as well as one of Canadian Rocky Mountain Resorts’ three hotels in the Rockies – Buffalo Mountain Lodge in Banff, Deer Lodge in Lake Louise and Emerald Lake Lodge near Field, BC and receive 15% off your stay. For guests coming to experience Alberta’s towering peaks in Banff, Lake Louise and Emerald Lake, we are excited to offer the opportunity for an extended stay to explore the vibrant city of Calgary with a stay at Hotel Arts or Kensington Riverside Inn. Or for those already planning an urban escape in Calgary, enjoy the opportunity to head out to explore Alberta’s grand Canadian Rockies. Confirmation of bookings at one of CRMR’s hotels as well as one of Hotel Arts Groups hotels must be provided at check-in. The special rate will be valid for stays until May 31, 2018. Some exclusions may apply. Both Hotel Arts Group and Canadian Rocky Mountain Resorts are locally-owned and independent hotel groups. We share many similarities in our approach to personalized service and boutique experiences. We’re proud to work together to deliver a robust Alberta adventure where guests can enjoy a seamless, hospitality experience including welcoming service and exceptional culinary offerings, while still enjoying the unique, local connections that the hotels have to Calgary and the Rocky Mountains. Situated at the heart of Calgary’s art and entertainment scene, Hotel Arts offers a unique and refreshing connection to the city. 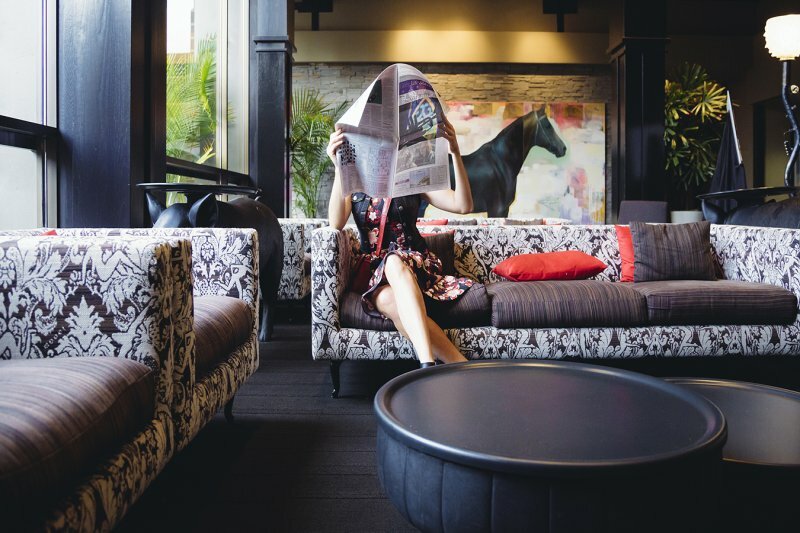 Style-driven, the newly renovated boutique property features modern décor and designer touches throughout with an extensive professionally-curated art collection. Home to two onsite award-winning restaurants, Yellow Door Bistro and Raw Bar, offer unique and innovative dining experiences to guest and locals alike. Seasonal outdoor pool is an urban oasis including a food and beverage serviced poolside patio. During the summer months, complimentary cruiser bikes are available to guests to explore the city along Calgary’s extensive bike paths to which Hotel Arts is connected. Defined by the combination of local connection, boutique experiences, culinary delights, visual arts and exceptional customer service all driven by the passion of delivering an extraordinary guest experience. Nestled on the banks of the stunning Bow River, the Kensington Riverside Inn offers all the calming effects of a rural retreat along with all the benefits and amenities of urban living. As Calgary’s only Relais & Châteaux designated property, Kensington Riverside Inn upholds an unparalleled standard of excellence in hospitality and culinary arts. The onsite, fine dining restaurant, Chef’s Table, offers a unique memorable dining experience. Guests can also enjoy the creative culinary offerings in the fireside lounge or seasonal patio overlooking the beautiful Bow River. The intimate nature of this 19-room boutique inn make it the ideal place to stay for those looking to indulge in some rest and relaxation, while its centralized location in the charming neighbourhood of Kensington allows visitors easy access to the heart of the city. Buffalo Mountain Lodge is a tranquil mountain getaway in Banff National Park is located on Tunnel Mountain. Distinct from the majority of hotels in Banff, Buffalo Mountain Lodge is set peacefully amidst beautiful tall pines, and features stunning mountain-style architecture seen through wooden posts and beams. The guest rooms at Buffalo Mountain Lodge feature wood-burning fireplaces and a cozy seating area, a TV, telephone and warm down duvet for added comfort. The Main Lodge features a superb dining room with delicious Rocky Mountain cuisine that can’t be found back home. Guests can spend time around the lodge to enjoy the lobby bar with a stone fireplace, an inviting outdoor hot tub and new dry-sauna. Deer Lodge is a historic mountain lodge just moments away from the shores of Lake Louise, and features 73 cozy rooms. Originally built as a charming tea house in 1920, much of the original hand hewn log structure and décor is still in place, with antiques from the era. Surrounded by the beautiful Canadian Rockies, Deer Lodge is encircled by the magnificent alpine scenery of Lake Louise, and offers a true mountain lodge experience. Deer Lodge invites guests to enjoy its cozy sitting room, delicious Rocky Mountain Cuisine and state-of-the-art rooftop hot tub, which offers views of Victoria Glacier. Emerald Lake Lodge has a setting of unparalleled natural beauty. Situated on the shores of the famous jade coloured lake in Yoho National Park, Emerald Lake Lodge is a destination for travelers in every season. Originally built in 1902 by the Canadian Pacific Railway, this historic property has been restored and redeveloped to become one of the finest year round resorts in the Canadian Rockies. The Main Lodge offers fine dining in the Mt. Burgess Dining Room, more casual fare in the Kicking Horse Lounge and the ability to pursue as many outdoor activities as you wish before taking a dip in the outdoor hot tub. The guest rooms each feature a wood-burning fireplace, cozy seating area, and warm down duvets for added comfort. With no cell reception and WIFI available only in the main lodge, silence is one of the most sought after amenities at Emerald Lake Lodge. Emerald Lake Lodge is truly a mountain escape with a setting so beautiful, you’ll never want your trip to end. The lodge was ranked the #9 resort in all of Canada by Conde Nast Traveler’s Readers Choice Awards in 2015 and is the only property on secluded Emerald Lake.